A semi-popular upset pick this year is Montana taking down Wisconsin. The Grizzlies come into the NCAA Tournament as hot as anyone, having won 14 straight games, the longest winning streak in the country. They won the conference tournament championship by 19 points against a really good team. They have been there before, having won the conference tournament two years ago. Those are all great, but that's not why they're going to win. Here are five reasons. 1. Will Cherry and Kareem Jamar - Maybe most of America doesn't know these two guys yet, but hopefully they will by the end of the first weekend. They are one of the most dynamic guard combos in the West, and they bring it on both ends. Cherry is the conference Defensive Player of the Year, and Jamar might be their most talented guy. Cherry averages 16 PPG, 3.9 RPG, 3.4 APG, and 2.6 SPG. He is on pace to be the conference all-time leader in steals. Jamar averages 13.8 PPG, 5.6 RPG, and 3.7 APG. He is the best passer on the team, and shoots 45% from downtown. They are superb players, and a cut above the Wisconsin backcourt (even with Jordan Taylor). 2. The altitude - One weakness of the Grizzlies is that they don't have a depth, but their bench actually plays a little more minutes than Wisconsin's has over the season. For teams without a ton of depth, fatigue obviously can be a factor. One thing that could add to fatigue is a high altitude. This is an advantage for Montana. Missoula sits at an altitute of 3,209 feet, compared to Madison's altitude of 1,058 feet. 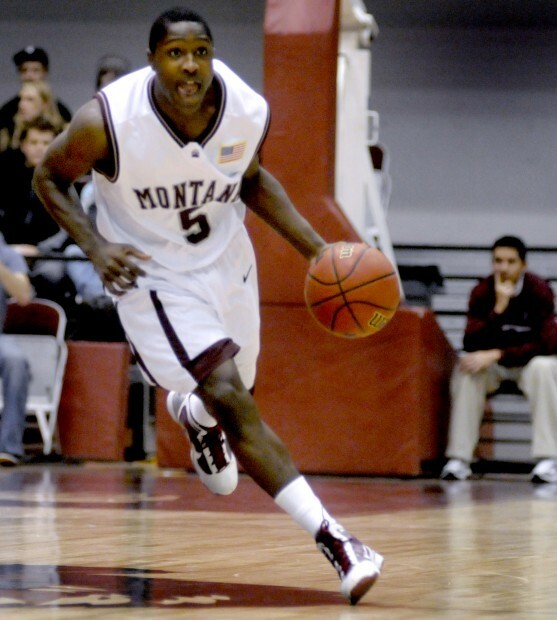 Montana has played at Northern Colorado (4,658 feet), Northern Arizona (7,000 feet), and Weber State (4,473 feet). I could be wrong, but I don't know that Wisconsin has played many or any games over 1,500 feet. Albuquerque stands at over 5,000 feet in most parts. The Badgers could be tugging at their shorts a bit. 3. The refs aren't from the Big Ten - This is not meant to be a crack at favorable officiating or anything like that. It means that Wisconsin is a very physical defensive team, and that style of play may sometimes go uncalled in the Big Ten. In the NCAA Tournament, the refs might call a little bit more than the Badgers are used to having things be called. 4. Jordan Taylor will struggle against Cherry - A lot of Wisconsin's offense is generated by Taylor. He handles the ball a lot, and typically initiates everything offensively for them. However, he is not great off the dribble at getting to the rim, and that is even without playing guys like Will Cherry, one of the best perimeter defenders in the country. When the offense bogs down for the Badgers, Taylor is not going to be able to make a ton happen against Cherry going to the rim. The dirty secret for Wisconsin is that Taylor has taken a step back in almost every category compared to last year. 5. Montana's weaknesses are not Wisconsin's strengths - Wisconsin is sound offensively because they simply don't turn the ball over. However, Montana's defense is not predicated on getting turnovers, but on not allowing the offense good looks. Montana is susceptible to teams that can pound the ball inside and get offensive rebounds, because their big men are not really traditional bigs. Fortunately, Wisconsin's aren't either, which helps the Grizzlies. Its all over and Wisconsin won. On Wisconsin! !